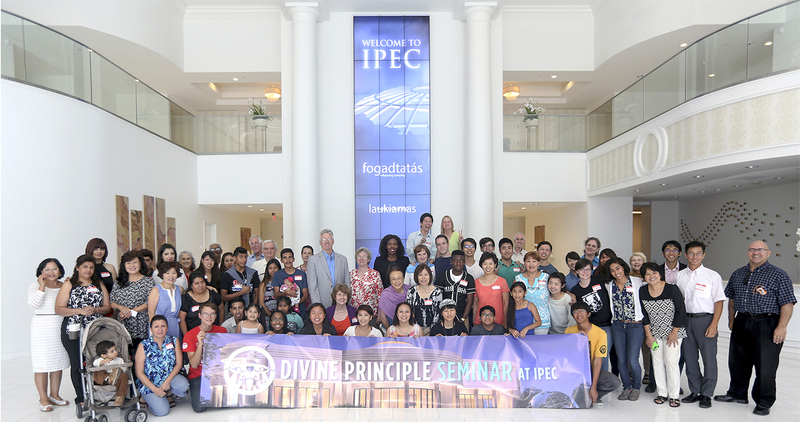 By FFWPU USA: The International Peace Education Center (IPEC) in Las Vegas was the site of a one day seminar on September 12, 2015 that brought 29 new guests to hear the Divine Principle. Local organizations such as the Family Education and Empowerment Foundation (FEEF) directed by Mimi Morse brought as many as 20 new guests, the Collegiate Association for the Research of Principles (CARP) Las Vegas brought 7, and many local Unificationists came to support through helping with preparations, setup and simply engaging in the program themselves. Rev. Andrew Compton did an excellent job of presenting brief overviews of the material, with 20-minute breaks worked in to allow for reflection and discussion time. Free childcare on site provided by some local Unificationist moms allowed everyone to fully participate in the event. Community members also helped with food preparation, registration and administrative duties, giving the whole event a wonderful communal spirit.